Hideo Kojima is a Japanese video game designer originally employed at Konami. Formerly the vice president of Konami Computer Entertainment Japan, he is currently the head of Kojima Productions. He is the creator and director of a number of successful games, including the Metal Gear series, Snatcher, and Policenauts. He has also produced both the Zone of the Enders and Boktai series. 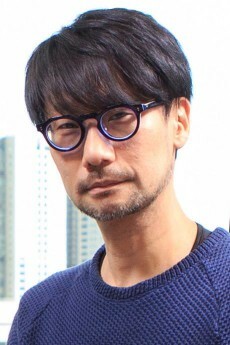 Kojima is consistently named by fans and industry experts alike as being one of the most influential and innovative video game directors and writers of all time, as well as being on many all time director top ten lists. Newsweek named Hideo Kojima as one of the top ten people of 2002. In 2008, Next-Gen placed him #7 in their list of "Hot 100 Developer 2008." Recently, he was awarded the first ever Lifetime Achievement Award handed to a game designer at the 2008 MTV Game Awards. His Metal Gear series of games often breaks the fourth wall. He is also well known for a quirky and somewhat irreverent sense of humor, and his frequently disarming and powerful plot twists. His games often revolve around contemporary issues such as nuclear terrorism, nanotechnology, the effects of war, Illuminati-style organisations, conspiracy theories, memes, human emotion, passing the torch onto the next generation, genetic engineering, manipulation of the masses, the growth of private military contractors, and the ideology of living one's life with a disregard for personal, ancestral and genetic history.